Posted under Health Guides. Updated 4 April 2019. An OGTT is a way to measure your body’s ability to use glucose. Ask your health care provider to go over how to prepare for the test. Plan on being at the lab or doctor’s office for a few hours. 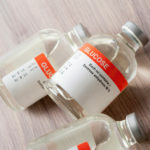 If you’re getting ready to have an oral glucose tolerance test, you may be wondering how to prepare for the test and what the results may mean. The test can help your health care provider figure out whether you have a high risk of developing diabetes. Glucose is a type of sugar and the main source of energy used by your body. The glucose that your body uses for energy comes from many kinds of foods called carbohydrates, such as cereal, bread, rice, pasta, and other grains, not just sugary foods. Dairy products, fruits, and vegetables all contain carbohydrates as well. Your body uses the glucose it needs and then stores the rest as “glycogen” in your liver and muscles. What is an Oral Glucose Tolerance Test (OGTT)? An OGTT is a way to measure your body’s ability to use glucose. Your pancreas (a gland located behind the stomach) makes a hormone called insulin, which helps your body use the glucose in your blood. If your pancreas doesn’t make enough insulin or if your body is unable to use the insulin it makes, you may have a high blood glucose level. The OGTT involves fasting overnight and then having your blood checked early in the morning. You will then drink a special glucose drink and have your blood tested again after 2 hours. Sometimes blood sugar levels are also checked at other times such as 1 hour, 3 hours, or 4 hours after the glucose drink. What if my blood glucose level is high? If the OGTT shows that your blood glucose levels are higher than normal, your health care provider may tell you that you have “impaired glucose tolerance”. This often means that you are at risk for developing diabetes. Rarely, diabetes is diagnosed after an OGTT. Diabetes is an illness that can develop if your body does not make enough insulin, or when your body has trouble using the insulin that it does make. Your health care provider may suggest a fasting glucose level, an A1C, or an oral glucose test (especially if you are overweight). Depending on the results, these tests are often repeated every few years. What do I need to do before the OGTT? Your health care provider will most likely give you either a glucose drink to take home or a prescription to bring to your pharmacy or the lab. Some tests are done in a health care provider’s office, but most often the test is done in a lab at a hospital or clinic. The test takes several hours (most of it is waiting between blood tests), so you’ll need to plan on being at the lab or your HCP’s office for most of the morning. If you need to fill a prescription, be sure you call your pharmacy ahead of time to see if they have the glucose drink in stock, because some pharmacies may not carry this item, or they may need to order it. Do I need to eat anything special before the test? 3 DAYS BEFORE THE OGTT: Plan on eating three healthy meals and snacks for 3 days before the test. You do not need to buy special food, but you do need to make sure you have healthy foods to eat. Your meals should be balanced with plenty of carbohydrates. 12 HOURS BEFORE THE OGTT: DO NOT eat, smoke, or do heavy exercise 12 hours before the test. (For example: If your test is scheduled for first thing in the morning, at 8 AM—Do not eat, smoke, or do heavy exercise after 8pm the night before). You may drink plain, NOT flavored, water. What happens on the morning of the test? VERY IMPORTANT! DO NOT DRINK the glucose drink until you arrive at the lab. The lab technician will tell you when to drink the glucose drink. First: A fasting blood glucose test is done. This is a simple blood test that checks your blood sugar before you drink the glucose drink. Next: The lab technician will tell you to drink the glucose drink. It will taste very sweet. It’s important to drink the whole amount fairly quickly. Waiting: After you finish drinking all of the glucose drink, you’ll be asked to sit until it’s time for your next blood test (about 2 hours later). You may read, listen to music, talk, or do another quiet activity while you are waiting. VERY IMPORTANT! DO NOT EAT or DRINK anything except plain water while you’re waiting. AFTER THE OGTT: Once your tests are done and the lab technician gives you permission to leave, you may go about your normal daily activities. You can go back to school or work, eat, drink, and do the regular exercise that you normally do. When can I expect to get my test results? The lab will usually send your results to your health care provider within a few days. You may already have a follow–up appointment scheduled or your health care provider may call you or email you to review your results and let you know if there are any concerns. The first test or “baseline” glucose test is your blood glucose level before you drank the glucose drink. Normal fasting blood glucose levels are less than 100 mg/dl. Your health care provider may also check your insulin level. A high level of insulin means that your body does not use insulin well (even if your glucose levels are normal). The second result of your 2–hour blood glucose test measures your glucose two hours after you drank the glucose drink. This level should be less than 140mg/dl. Normal levels of glucose mean that your body is able to use glucose the way it’s supposed to. Higher than normal levels of glucose mean that you have impaired glucose tolerance (IGT). This means that your body has a hard time using glucose, and puts you at risk for diabetes. If your glucose levels continue to be very high, it could mean that you may be developing diabetes. Understanding how to prepare for an OGTT test and what the results mean can help you take charge of your health.